The design and concept was created for a personal project. Invitations, an RSVP website, thank you cards, menus, and table settings were all created for the wedding event. The style of the work was designed to reflect a vintage feel which felt intimate and personal to mirror the day of the event. The concept was also about the merging of two cultures being American and British. 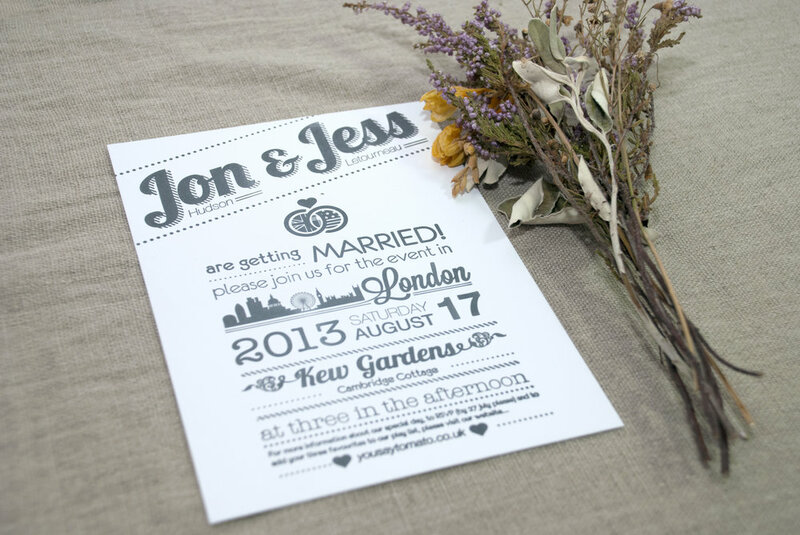 The invitations were printed on letterpress and the names tags were hand calligraphy. The website was in collaboration with my husband, a web developer, and was designed to feel similar to the printed material for our wedding. The site was used by our guests to find out more details, choose their favorite songs to hear at the wedding and to RSVP.